Fat loss in modern times is almost always associated exclusively with appearance. At any point in time you could look through magazines, books, social media, and TV infomercials to see that. This is no surprise though; a lean and athletic looking body is what everyone wants. It helps you look better in and out of clothes…but that doesn’t matter so much for you right, hockey player? Fat loss and maintaining a lean body will have immense benefits towards your health in the long-term and your performance out on the ice. 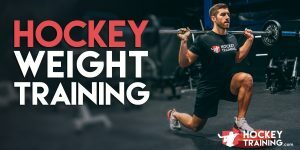 It is my goal with this blog entry to outline 5 reasons why hockey players need to be lean if they are interested in receiving the multitude of health and performance benefits that such a plan can provide. A couple of the most important criteria for what can improve your performance out on the ice are how fast you can run and how explosive you can jump. This is why informed coaches in the NHL, semi-pro, and junior leagues test their athletes utilizing various forms of jump and sprint tests. Effective fat loss programs are one of the quickest and most simple ways to improve both simultaneously – when you train and eat for fat loss, you will immediately be able to run faster and jump higher, and thus, skate faster and become more explosive out on the ice. How does fat loss do this? Imagine you put a backpack on that was filled with 20 pounds of rocks and then sprinted 40-yards as fast as you could. Then you removed the rocks and ran the 40-yard sprint again. Do you think you would run faster without the backpack of rocks? Of course you would. You would also jump a heck of a lot higher as well. That imaginary backpack represents the real-life performance limitations of carrying around an extra 10, 20, or even more pounds of weight on your body. In other words, if you lose that extra 10 or 20 pounds – you can compare it to taking the backpack of rocks off. When you get leaner, you automatically become more athletic because your movement skills have enhanced in both proficiency and efficiency. Getting lean is in many cases the next step most people need to take in order to take their hockey performance to the next level. Hockey players need the muscle with the hustle! Getting lean covers the hustle by improving your speed and jumping power. But, most people under respect what it can do for the muscle with respect to the way in which you express your strength out on the ice. Arguably the most important aspect of strength that you are able to express in athletic environments is ensuring you have a high level of what’s known as relative strength. Meaning, how strong you are in relation to your own body weight. For example, the person who can perform the most chin-ups possesses superior levels of relative strength because he can lift his own body weight for more reps than others can – even if they have a higher absolute strength than he does. When performing strength training exercises such as chin ups, push ups, lunges, split squats, and step-ups – you’re not only lifting the weight, you’re lifting your body as well. The more extra body fat you’re carrying, the weaker you’ll feel and the less work you’ll be able to complete within a given training session or training week. Traveling back to the weighted backpack example – try doing lunges and pull-ups with that backpack on. You will do MUCH fewer reps than if you were to take it off, you will also be much slower while performing them as well. As a final example, there are people who struggle even doing a single pull up because they cannot overcome the weight of their own bodies. You’ve now learned that extra weight can hold you back in your speed and in what you can do in the gym – but one of the most obvious and most brutal realities behind carrying around extra weight is that it can really hinder your ability to play an entire game of hockey at the efforts you want to be operating at. Conditioning is also known as work capacity within discussions between program design experts and this essentially represents your ability to keep going until fatigue sets in. Regardless of what the situation is – whether it’s a shift, game, or tournament weekend – you must have the energy to be able to go the distance. It’s obvious even to the untrained eye that you’ll become exhausted and quit much faster than you would had you otherwise been a lean athlete. The backpack analogy works here too – try playing a game of hockey with 20 pounds strapped to you at all times, it’s no different than body fat. We all only have so much energy to expend each day before we become fatigued, how healthy you are is a major factor in how large of an energy reserve you have to work with – and also a factor in how much coffee and energy drinks you completely rely on in order to be productive doing anything. Carrying around extra body fat makes everything harder, both on the ice and in life. Therefore, the more body fat you have, the quicker you’re going to feel tired and the more reliant you’re going to be on energy drinks. Not to mention that you’ll feel “crashes” at certain intervals of the day much more brutally than your healthier counterparts. 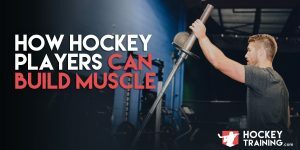 It’s no mistake why those who have lost a ton of weight also feel better from the inside-out, it’s because they have so much more energy to work with each day – and that energy often goes towards even better workouts and even better hockey performance. That dreaded backpack full of rocks that you carry around the office, at your job, when playing with your kids, and when working around the house will drag you down in life just as much as it will out on the ice. Following an effective fat loss plan will help you drop fat, which in turn will allow you to become a much more energy efficient human being. Losing fat will be one of the most impactful things you will ever do in order to reduce pain and take unnecessary stress off of your joints. This happens primarily through two main reasons, the first one is because joints are what is known as “avascular” – meaning, they require regular movement in order to bring in nutrients and allow waste products to leave our bodies. Put simply, our bodies respond to stress, and maintaining an active lifestyle gives them the movement they need in order to keep themselves healthy. However, if you’re carrying around extra weight, it can make you much less comfortable and therefore less active. This leads to a more sedentary lifestyle that only perpetuates more pain and more stress to your joints. Beyond the avascular note, the second reason that carrying around extra weight causes pain and unhealthy joints is simply due to repetitive strain. For example, let’s say you have sore knees and hips, but you’re also carrying around an extra 20 pounds that you know you need to lose. Well, even on a lazy day a human takes about 5000 steps – so if you factor in the unnecessary body fat, that’s literally 100,000 extra pounds of pressure being placed upon your joints each and every day (20 pounds x 5000 steps). It’s no wonder why your joints are in pain and get beat up, again, 20 pounds of rocks in a backpack is no fun to carry around. This may have been an eye-opening article for some of you, and some of the things I might have said may have hit you right in the heart. For that, I don’t apologize. 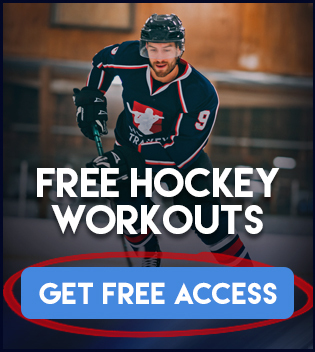 Because I want you to be the best possible version of yourself and I want you to gain these amazing benefits in your life so that you can enhance your health, life quality, and overall hockey performance. I’ll say whatever I need to say to bring the belief and positivity towards new change out of you. An excellent fat loss program is one of the most transformational things you will ever do, both from the outside-in and the inside-out. Get out there and make it happen! I’m rooting for you every step of the way. And if you’d like help with a training and nutrition program to help with fat loss I’d recommend checking out one of our programs on our Hockey Training Programs page. 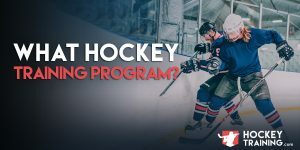 What Hockey Training Program Is Best For Me?